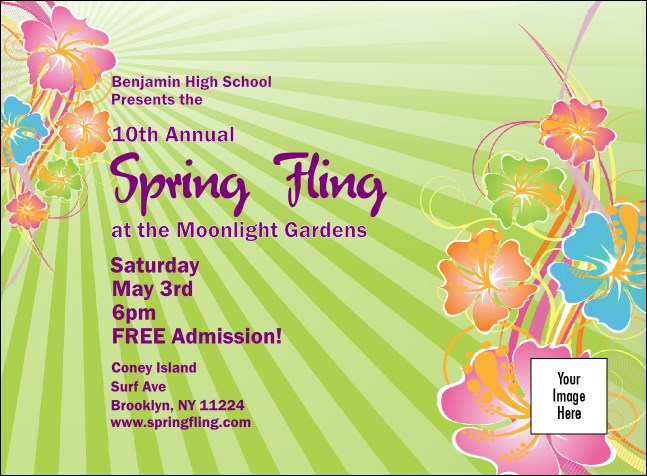 Invite guests to catch spring fever at the Spring Fling event of the year! The right Invitation template for outdoor festivals, art in the park, or an outdoor concert series, Spring Fling Invitations are sure to get guests and VIP excited about your next occasion. Celebrate fun and color with a vivid Spring Fling Invitation!